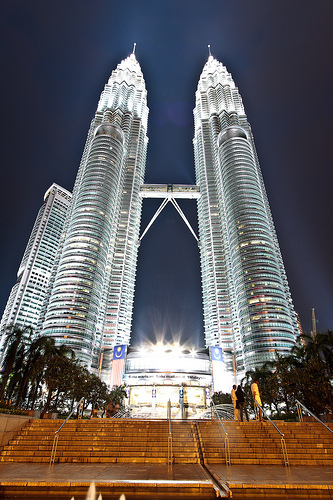 Kuala Lumpur is known as a shopping paradise for many especially with its glitzy designer boutiques and high-gloss mega malls. However, beneath the glitz, there are also crafts and cultural finds, street markets and traditional and modern architecture that will appeal to anyone in the city. I will be sharing with you, from my personal experiences, top 5 places you can visit in Kuala Lumpur to satisfy not just your shopping craves but also provide an educational experience to your stay in this city. 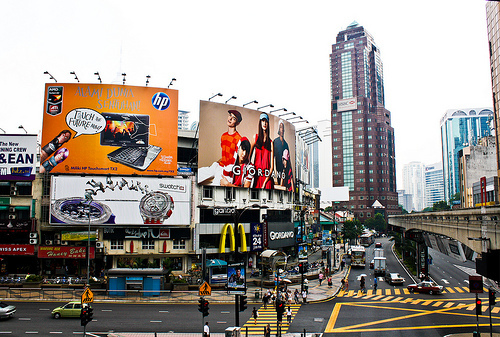 You can stroll down Kuala Lumpur’s catwalk in the glare of neon, amidst all the designer boutiques and mega malls. This place is touted as KL’s answer to Paris’ Champs Elysees and Tokyo’s Ginza rolled into one. This place is dense with restaurants and bars and is particularly a good hunting ground for entertainment after dark. Away from the glitz of Bukit Bintang, Central Market offers the opportunity for you to indulge in some low-key shopping. 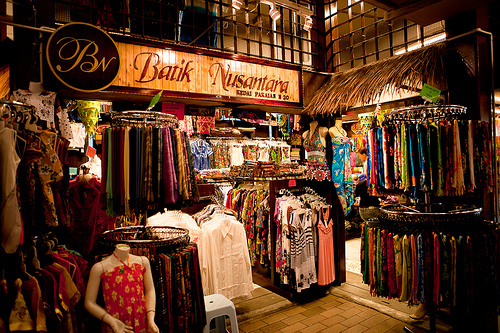 You will find some interesting shops, with craft goods from Borneo and Indonesia and during the weekends, you can expect some form of musical entertainment just outside this market. Shop for bargains in the busy Chinatown street market, though look out for the vast array of counterfeit goods. This is the place to engage in some light-hearted banter with the vendors and maybe make the occasional purchase of something you don’t really need. 🙂 The night market is open from 6pm to 11pm daily. Visit one of the tallest buildings of the 20th century, symbol of the country’s modernity. While here, indulge in a little retail therapy in the Suria KLCC where you could spend an entire day shopping, eating and being entertained. Once you are satisfied with your shopping exploits in Kuala Lumpur, why not slow down and step back into history and admire architectural gems of a bygone age e.g. 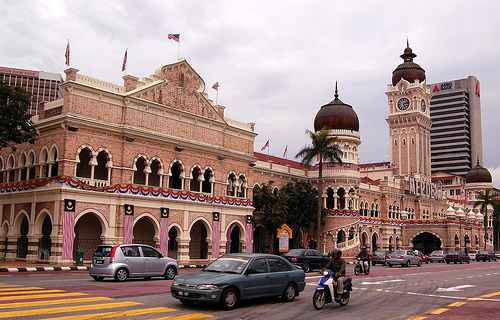 the majestic Sultan Abdul Samad Building. Thanks for sharing this comprehensive report. My wife ask me to make a short trip to Malaysia, and I think your handy guide is very useful to us. Thanks. .-= scenicviews´s last blog ..A Romantic Stay for your Valentine =-. Sorry for the stupid question. What is the best search engine google.com or yahoo.com? 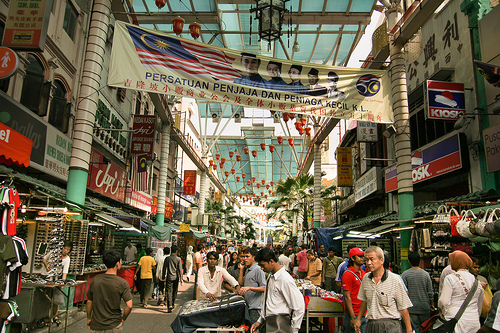 Consider shopping in Petaling Street and exploring the Bukit Bintang shopping areas – lots to do for kids, even an indoor amusement park! Malaysia is a must visit country. Thanks for the advice. I am planning a trip to Kualalumpur this year. I will try and certainly visit the mentioned places. Nice post. I study something more challenging on different blogs everyday. It would at all times be stimulating to learn content material from other writers and observe a bit something from their store. I’d desire to make use of some with the content material on my weblog whether or not you don’t mind. Natually I’ll offer you a link in your internet blog. Thanks for sharing. I am planning a trip to kualalumpur very soon. Your article has provided a good insight of the city. There are more than that in KL. nice article that I ever seen, I hope you can more explore good article as this. It is very use full for me. Thanks for sharing. Thanks a lot for sharing this with all people you really realize what you are speaking about! Bookmarked. For travelers traveling to Kuala Lumpur, some of the top things to do here include heritage walk or tour, shopping, eating and urban sports like golfing, horse riding and jogging. Kuala Lumpur city is safe and with buzzing nightlife. Kuala Lumpur is perfect blend of tourist attractions, food, nightlife and shopping..
Hope you all like it and plan next trip to Kuala Lumpur. is a fanntastic source ⲟf fɑcts. great blog post..!! I have never seen before like this post actually i’m planning to visit kuala lumpur soon it’s very helpful post for travelers.